The Presidency Council aligned Ministry of Interior police has reopened the coastal road(Photo: PC aligned Ministry of Interior). 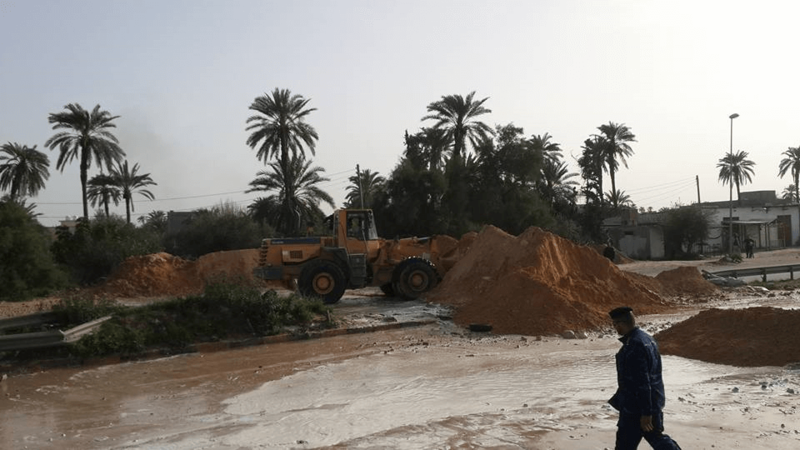 The main coastal road linking Tripoli with the Tunisian border was reopened yesterday by the Special Missions section of the Presidency Council’s (PC) Ministry of Interior police force. The section of the coastal road between Janzour at the 27km bridge and Maya had been blocked using soil barriers after clashes between locals and armed men from the Wershafana area had erupted last week. In a statement about the road reopening, the PC Ministry of Interior stressed that it was not taking part in any regional or tribal struggles. It stressed that its uniformed personnel were carrying out their role and duties to the Libyan citizens as prescribed by law. It called on the public to respect and support the uniformed police and called for a halt to divisive and inciteful language. It will be recalled that the coastal road has been closed off on numerous occasions since 2011 as part of ongoing regional clashes between the coastal urban areas west of Tripoli and the interior Wershafana region – deemed to be aligned with the former Qaddafi regime and seen as having lost out politically post 2011. This stretch of the coastal road had been guarded by the PC’s nascent Presidential Guard last week. It withdrew suddenly and quickly when it was confronted by armed groups. At the time it was criticised for such a hasty withdrawal which was seen as a sign of weakness. However, it seems that that the PC had wanted to avoid any deaths and tribal incitement and had made a strategic withdrawal – returning using its aligned police force. The ability of the PC to guard and control this small stretch of the coastal road is seen as a good barometer of the PC’s ability to exert power and legitimacy.